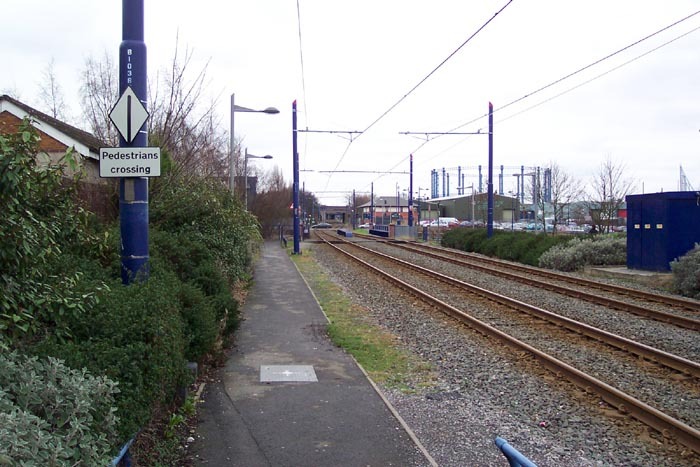 Black Lake stands on the former-GWR's Birmingham to Wolverhampton line as does most of the 'Line 1' Metro route. Black Lake is a little more interesting than some of the other stops however in that it is entered via a level crossing. 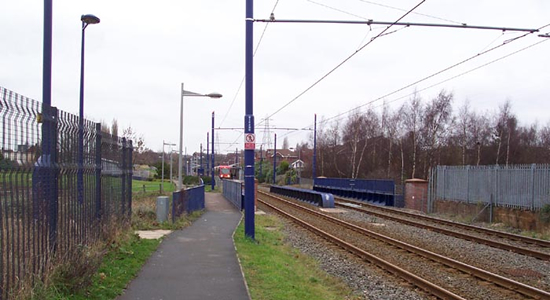 Above we are standing with our back to the level crossing over Swan Lane and looking towards the stop. The girders in the foreground support the railway's bridging of what I identify as the Dartmouth Branch of the Birmingham Canal which served many collieries and factories in the area: interestingly, to the left of the stop in this view used to be Blacklake Colliery. 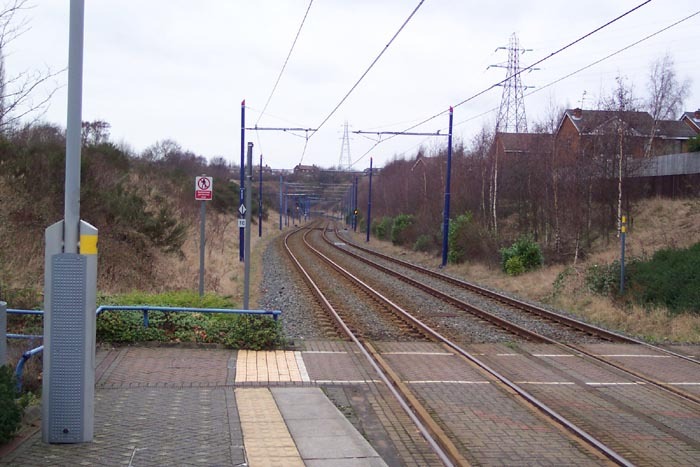 Above-left we are on the Wolverhampton platform looking towards Hill Top tunnel which leads the Metro out to Wednesbury Great Western Street. 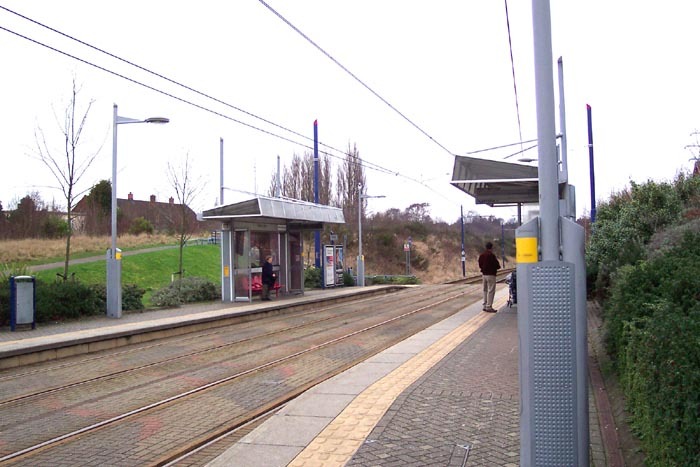 Above-right, we are on the Birmingham platform looking back towards the level crossing on Swan Lane and just beyond it, the site of Swan Village station which closed in 1972. Above-left we are still on the Birmingham platform but have turned to look towards Wolverhampton so we can see the platform facilities - my one problem with Metro stops is their uniformity, railway growth occurred under so many different companies and at differing times that there was great diversity in architecture. The Metro, being conceived as a modern project, has applied the same design rules to all stops and as such does not provide for the most interesting of subject matter. 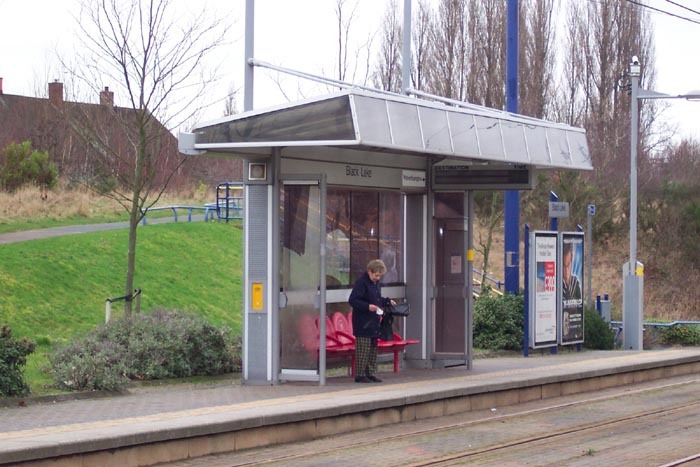 Above-right, and to illustrate the former point, we take a close look at the Wolverhampton platform's shelter.